David Talbot, Salon, November 6,2013: Deep Politics and the Death of JFK, by Peter Dale Scott. 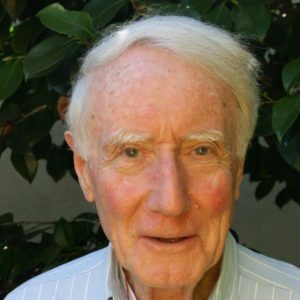 A retired University of California, Berkeley, literature scholar, former Canadian diplomat and distinguished poet, Scott is the Wise Man of the Kennedy research movement. Though not trained as a historian or investigative journalist, Scott took up the challenge of the JFK mystery in his spare time over four decades ago, delving assiduously where few reporters or academics dared go. Deep Politics is his Kennedy masterpiece, a meticulously detailed examination of the deep network of power that underlies the events in Dallas. The book is filled with provocative insights about how the upper circles of U.S. power actually operate (often in concert with the criminal underworld). I list Deep Politics last, only because it’s not for beginners — readers should approach this dense and challenging book after getting a basic grounding in the Kennedy case. In These Times, November 29, 1993, 35-36: “Those with good knowledge of the case will find that Deep Politics, Peter Dale Scott’s newest work, offers perhaps the most useful synthesis yet of this particular skein of history….Scott’s book is one of the rare few on the subject that bridges the gap between events on the surface and what he calls deep politics, that is, the behavior over time of institutions with the power to function beyond the constraints of legality. He doesn’t indict likely culprits; rather, he helps us to comprehend the hidden underside of America’s global political economy, with its huge, ongoing trade in money, militarism, narcotics and state power. Scott’s brilliant, meticulously detailed lesson is, in a way, as much a guide to the current Iraqgate scandal as it is to the assassination. Richard Wall, “Conspiracy – Fact or Fiction? :” “For a fascinating study which puts the events in context, none better than Peter Dale Scott’s Deep Politics and the Death of JFK.